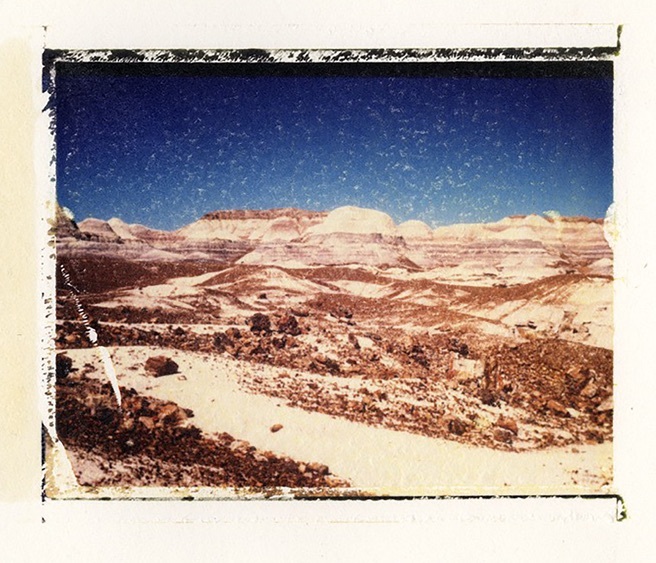 In this two-day workshop, learn tips about combining printmaking with the alternative photographic process of Polaroid dye transfers and emulsion lifts. Layer stark, deeply etched lines juxtaposed with color photographic imagery. Bring a small copper or zinc intaglio plate that is ready to print (or one will be provided). Students can expect to take home multiple prints. Some printmaking or photography knowledge and skills helpful. Lexi Coburn is an artist with experience in alternative photographic processes and traditional printmaking methods. She has an MFA in Printmaking from the University of Arizona and has taught several printmaking classes, such as a DIY guerilla printmaking course, relief and etching. Her approach to teaching focuses on the technical aspects of print media and alternative photographic processes to create layers and textures to then build an image.